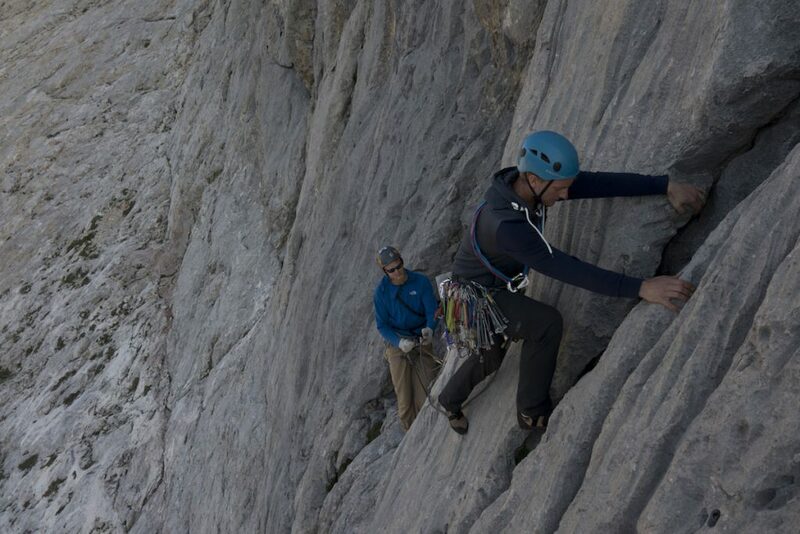 The Picos De Europa is an amazing place to climb, the area has some spectacular limestone crags with a variety of single and multi-pitch sports climbing as well as some amazing trad routes in the Higher Picos. 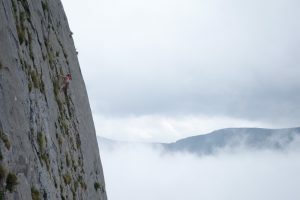 The main peak a gigantic limestone dome is ‘Naranga Del Bulnes’ and as well as having some harder routes also sports one of the most staggering Hard Severe routes in the world. The South Face climbs all the way to its amazing summit. This is a holiday with the emphasis on fun, enjoyment and above all living a little adventurously. 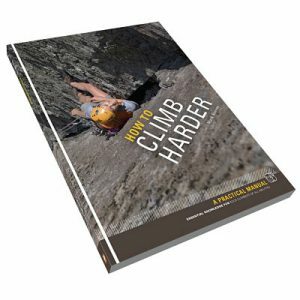 We can cater for anybody from beginners right through to experienced climbers looking beyond the Costa Blanca for a sun rock holiday. The Picos De Europa rises 2500m out from the north coast of Spain, its impressive peaks dominate the skyline and the steepness of the area is epitomised by the Hermida Gorge, along which there are many sport climbing venues. 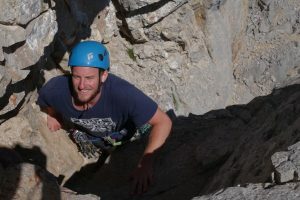 There is also some truly amazing multi-pitched trad routes spread across the region with many large cliffs that can form almost alpine scale adventures. Away from the crowds this area really does offer some of the best adventure climbing in Spain. 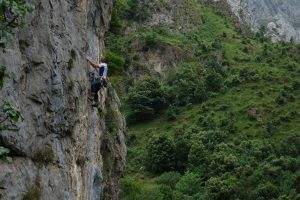 Cerro Agero is perhaps the highlight of the Hermida gorge and has a variety of trad and mixed routes from long Hard Severe’s right the way through to alpine sized extreme grade climbs. 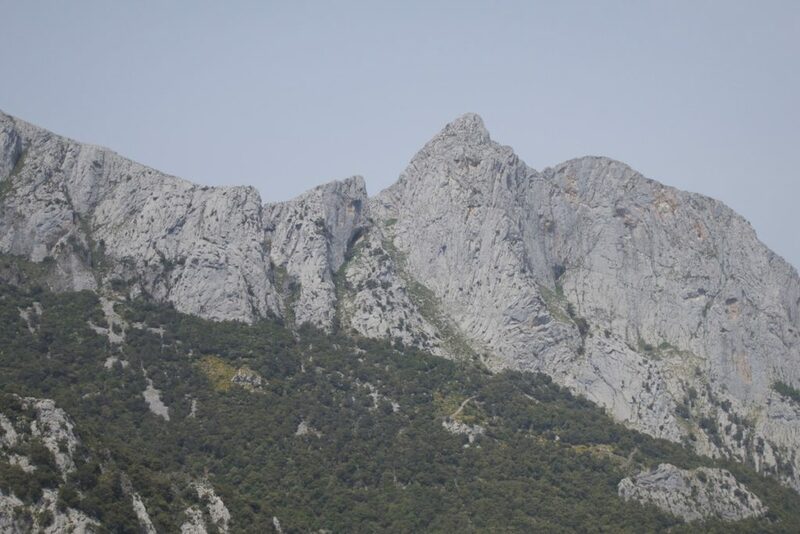 If the weather is too warm down in the Valleys the cable car up Fuente Du leads you to the Southern end of the Picos Mountains where there are numerous limestone spires and mini alpine walls. Again from severe grades upwards. 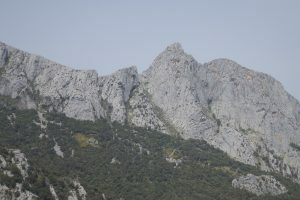 Finally, there is that jewel in the Picos crown, the Naranga Del Bulnes, a limestone tooth that dominates the range is only a three-hour approach to the mountain hut or bivi caves. 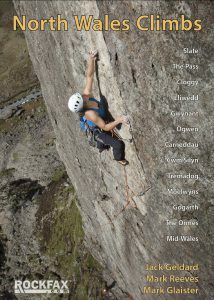 Where we spend a night before tackling one or more of the peaks fine routes. From the South Face at Hard Severe or the historic and challenging 17 pitch Rababa-Navarro route which has two 6c pitches low down and is 6a or below above. If all the climbing gets too much then we can always spend part of a day on one of the areas fine via ferattas, the natural hot springs, The Spa or St Vicente beach surfing. This area really is an adventure playground for adults. 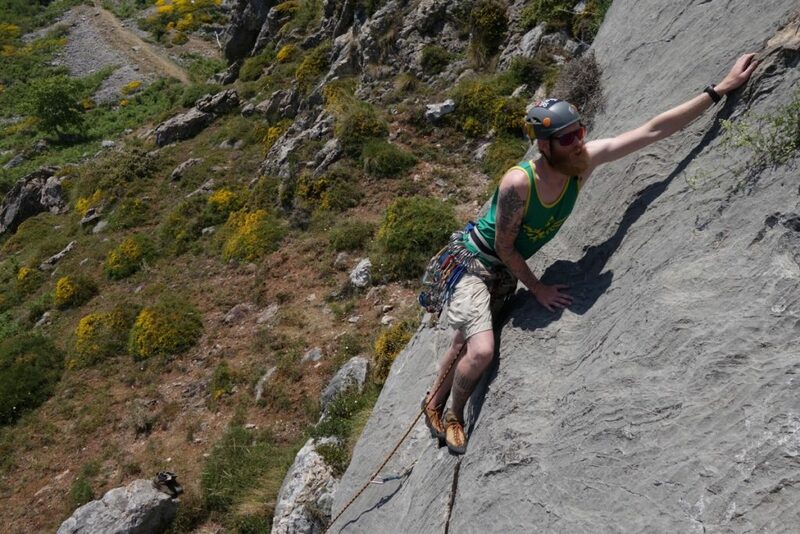 Transport and accommodation are included in the price of this Hot Rock Climbing Holiday. 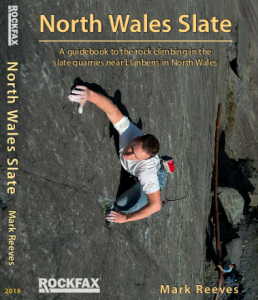 If you would like to find out more about this amazing climbing area then try these three cheeky videos I made a few years ago when working my way around the world. 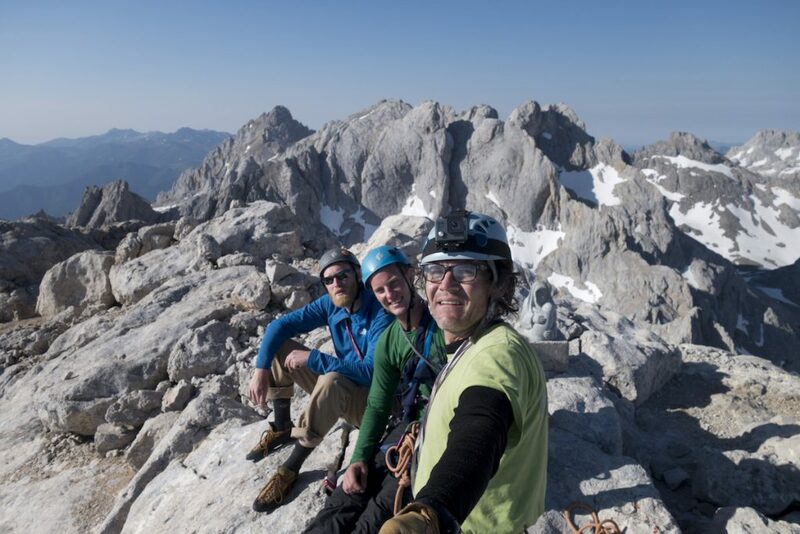 On the Summit of Naranaga Del Bulnes after coaching Josh and Jesse to trad climb their way up it. Jesse King climbing the amazing La Reunion, a three pitch 6a sports route on the Pena Cigal, Picos Du Europa. Josh Douglas on pitch two of The South Face of Naranga Del Bulnes, Hard Severe. Looking across as the classic crag of Cerro Agero, with routes up to 12 pitches in length this really is an amziong sport/trad climbing venue in the Hermioda Gorge, Picos Du Europa. 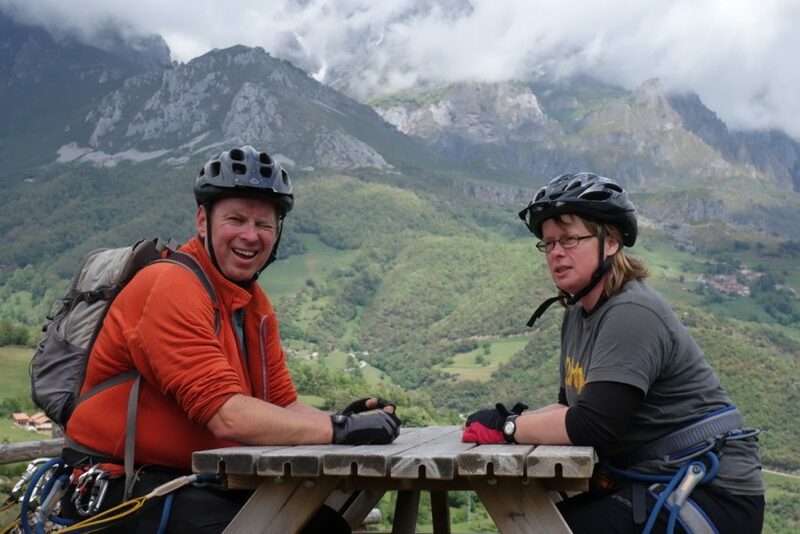 Enjoying a day off with friends in the Picos Du Europa with a combination of mountainbiking down from Fuente Du and a via ferrata and lunch at the top.